There once was a city where nothing stood still. Brilliant and wild, William Fales inhabited that place. 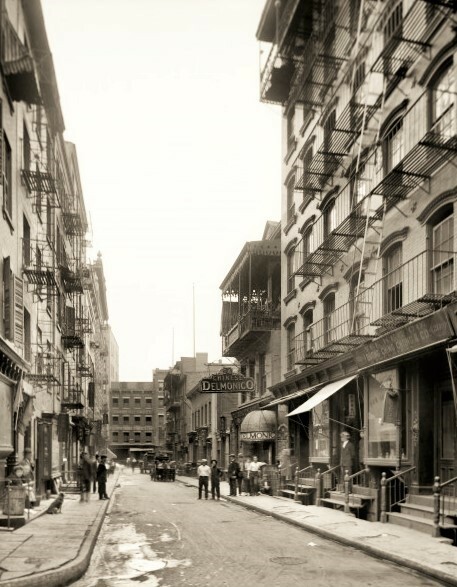 In 1880, he first ventured into the narrow streets of lower Manhattan. He would spend many hours of his life in Chinatown. Now, when I climb the stairs at the Canal Street subway station, Billy – as his close friends called him – is hurrying by. He’s on his way to dine at Mong Sing Wah on Mott Street, where he’ll introduce a skeptical friend to “Chow Chop Suey” and drink cup after cup of rice liqueur. Next he’s heading to Doyers Street to see a performance at the Chinese Theater, the audience a mix of neighborhood residents and “slummers.” Those are wealthy people who enjoy escaping the confines of their class. A big man with a twirling mustache, William Edward Sanford Fales was born in New Bedford, Mass., in 1851 and grew up in Brooklyn where he attended Polytechnic Institute. He taught himself Chinese and French. Teachers and colleagues called him a genius. None of his friends can ever forget Fales, the many-sided, with his massive head and blond curls. . .
Like champagne, he was often effervescent, sparkling, and overflowing. Much that he emitted was like froth, but much, too, was substantial and weighty. . . He would deliver a talk on the history of Satan, and follow it with a paper on the origin of obscene words. This, in turn, would be succeeded by a lugubrious poem on death, or on the final “wreck of matter and the crash of worlds.” * While exercising his skill in the realm of the imagination, he was addicted to mathematics and scientific research. William descended from an early American family of Puritans, the Fales clan of Bristol, R.I. His father, Edward S. Fales, was born in Cuba in 1833 and came to the U.S. as a child. He studied law, edited a newspaper, and reportedly became fluent in nine languages. Along the way, Edward married Imogene Franciscus of Baltimore. They had three children together but spent much of their marriage apart. Edward worked for a pharmaceuticals manufacturer in Rio de Janeiro. Imogene outlived her husband by 27 years. She became a writer, suffragist, populist, prohibitionist, and sometime Theosophist. Their eldest son, who used the pen name W. E. S. Fales, received an E.M. from the Columbia School of Mines in 1873. ** Two years later, he earned a degree from Columbia Law School. Next, William joined the law firm of Colonel Benjamin Tracy, who served in the Civil War. Active in Republican politics, Tracy would become U. S. Secretary of the Navy. 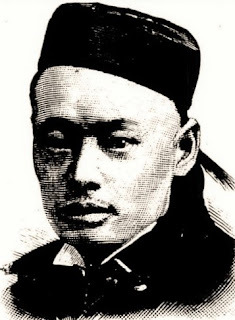 A young man named Wong Chin Foo, founder of a New York newspaper, The Chinese-American, joined Tracy, Catlin & Brodhead as an apprentice to Fales. He didn’t stay long, moving on to become a celebrated activist who publicly opposed the Chinese Exclusion Act of 1882, lobbied for citizenship for Chinese immigrants, and wrote extensively about the Chinese experience in America (including an article about Chinese food in Cosmopolitan Magazine). It’s impossible to know if Wong Chin Foo thought W. E. S. Fales was a great guy or just another slummer. 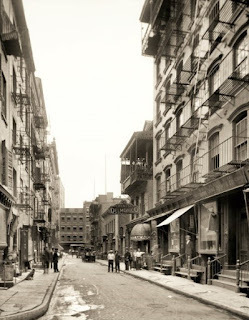 On the one hand, Fales dove into Chinatown even though the tongs (gangs) were bloodthirsty and danger lurked on Ragpickers Row and Bandit’s Roost, filthy dark alleys off Mulberry Street. Fearlessly, the jocular Brooklyn lawyer steamed ahead and got to know the proprietors of Chinese laundries, restaurants, and other businesses. He loved their stories and often went to bat for them – it was said – when cops and immigration officials came down hard. Fales speaks Chinese, and his chief delight is to pilot a party to his Mott Street yellow friends for a Chinese supper – there, he is in his glory. The Chinamen respect him . 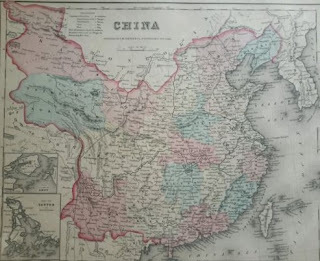 . .
Was Fales, in fact, grimly tolerated by the Chinese? Either way, no one could argue with the man’s passion for Chinatown. He visited night after night, commuting by the Fulton Ferry and riding the Third Avenue El until the Brooklyn Bridge was completed in 1883. Then he traveled by carriage in a city still lit largely by gas. Around 1880, W. E. S. married Agnes, the first of his three wives. He never bothered much with her or their two sons, whose names were Harold Athelstan Fales and William Hereward Fales. Athelstan, known as the “first king of England," ruled during the tenth century. Hereward, known as “the last Englishman,” led a popular rebellion against William the Conqueror in the eleventh century. So you can see where Fales was coming from. In the mid-1880s, he began to publish poetry. Dozens of his poems appeared in newspapers and magazines nationwide: “The Modern Spirit,” about drinking; “Unto My Ladye,” about “her faire Haire and sweete Eyes”; “Sea Foam,” about a shipwreck, and so forth. The poetry was trite, but would improve slightly. Also during these years, Fales left his beloved Brooklyn for Chinatown. There he lived for some time in a rented room, in the thick of things on Doyers Street. A remarkable opportunity came his way in 1890. Colonel Benjamin Tracy, now Navy Secretary under President Benjamin Harrison, arranged Fales’ appointment as Vice Consul in Amoy, China. To top it off, Dr. Edward Bedloe, best known as a founder of a dining club, the Clover Club of Philadelphia, became Consul. Fales and Bedloe were old friends. They both liked to drink and were practical jokers, reported the Brooklyn Eagle. You can bet that they spent many an hour trying to top each other’s wit. Off they went to Amoy, as Xiamen was known in the West. See posts on 2/1/17 + 2/14/17; also about Imogene Fales, 5/25/16. *Recollections by Fales’ law school classmate and fellow mischief-maker, Frederick W. Hinrichs. “Wreck of matter” quotation is from Thomas Carlyle. **The School of Mines of Columbia University, founded in 1864, is today The Fu Foundation School of Engineering and Applied Science. I actually have met the curator of the Fales Library at NYU = we contributed a rare book after my father died. Is this the same Fales? Fascinating. I know someone teaching himself Chinese. It's quite something.